Here is a "Game of Thrones" truism: There are as many ways technology can ruin your enjoyment of the critically acclaimed HBO series, as there are ways for your beloved characters to suffer brutal deaths. Fans often complain about being burned by spoilers on Twitter or blog posts and shut down their smartphones when the show airs. But there is one thing they cannot control -- the so-called spinning wheel of death that greeted many when they tried watching the season four premiere in April on HBO's streaming service HBO GO, which is offered in conjunction with the premium channel. "We spent 45 minutes waiting for it to load and finally at 10 p.m. we drove to my parents' place five blocks away and watched it on demand," 26-year-old fan Marissa Christy told CBS News. She was relieved to finally catch up with the world of Westeros, but wished it had been from the comfort of her own home. "'Game of Thrones' is not the kind of show that you want to watch with your parents," she said. "They always seem to enter the room during the worst scenes." The software designer from Grand Rapids, Mich., is hoping the incident won't happen again with the show's finale on Sunday, June 15. But according to experts, she shouldn't be too optimistic. Simply put, HBO is a victim of its own success. The channel confirmed to CBS News that the April outage of HBO GO was because of "overwhelming demand," which it's likely to face again Sunday night. The network had similar issues in March with the finale of crime drama "True Detective," starring Woody Harrelson and Matthew McConaughey. Indeed, "Game of Thrones" is wildly popular, attracting 18.4 million viewers per episode on average during this season overall. That beat the previous HBO viewing record of 18.2 million held by the Sopranos in 2002. "Nobody had foreseen the amount of content delivered through networks. These problems will exacerbate over time," said Neil Sequeira, Managing Director of venture capital firm General Catalyst Partners, based in Palo Alto, Calif.
Sequeira, a former exec at Time Warner, the parent company of HBO, says it's because there are just too many people trying to view the show all at once online for the system to handle. "We need to get one hundred times more data through the pipes than we did ten years ago," he said. "Given different consumption patterns, the Internet infrastructure will continue to have bottlenecks which can lead to these types of failures." A complete physical upgrade of that infrastructure would cost billions of dollars, as it would involve tearing up streets and reconnecting households. Google is starting to do that by installing ultra-high speed broadband in a number of areas such as Kansas City, Mo., and Austin, Texas, but it requires a lot of capital and will take time to expand nationwide. "It is the last mile where you get the most headache. Google believes we need fiber going into the home, but that would cost around $5,000 per home," said Sequeira. In the meantime, industry insiders are trying to come up with viable short-term solutions to keep data and video streams flowing. Perhaps the most contentious proposal would upend the tradition of net neutrality. In May, the Federal Communications Commission, took a step towards changing that standard by proposing new regulations that could open the possibility of "fast lanes" for Internet traffic from websites that can afford to pay for the privilege. Sequeira argues that may work for companies such as Netflix, which have the cash to strike deals with cable providers like Comcast and Verizon. But the proposal may block startups trying to get a toehold in the burgeoning streaming market. According to Cisco, video is expected to grow to 84 percent of internet traffic in the U.S. by 2018, from 78 percent currently. Sequeira instead suggests charging consumers more for the privilege of better access. "We need a tier pricing structure so the networks can be upgraded. Instead of paying about $50 a month for high-speed data, then maybe you should pay $100 a month." It is an idea that may not be welcomed by Internet customers. "HBO GO has been very reliable for me, except this one time. I don't think I would pay more for uninterrupted streaming," said Marissa Christy. Instead she favors a different solution, paying for services individually. 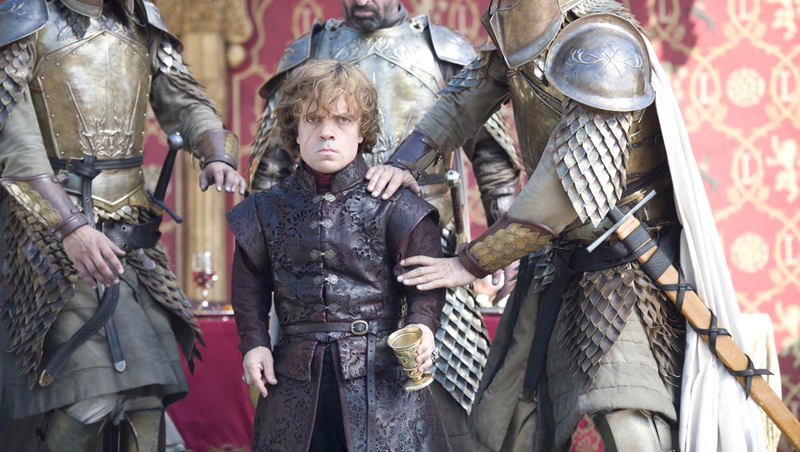 "If HBO GO were available as a standalone product, we would be interested in that alternative. We don't even have a TV to use our current cable subscription."